It is aimed at repository staff but will be of interest to other groups such as academic librarians and research management staff. 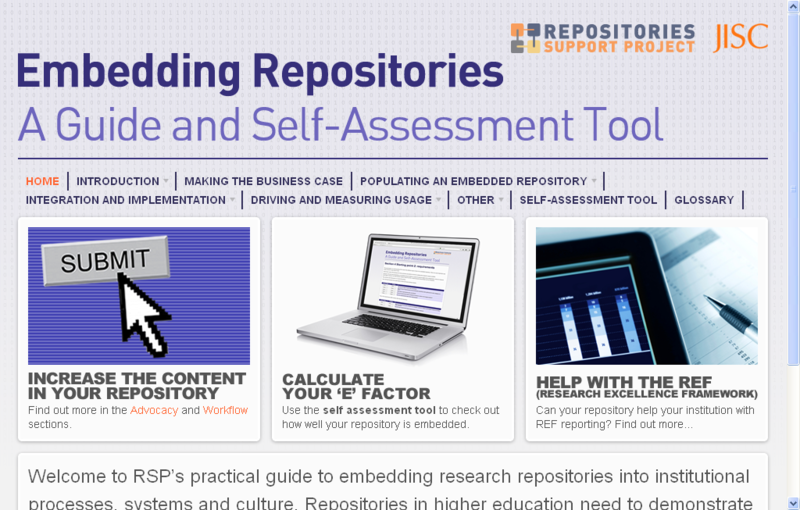 You may remember earlier this year that the RSP and UKCoRR invited UK repositories to carry out a survey of academic staff with a particular focus on informing advocacy plans and “joined up” institutional developments for Open Access in higher education institutions. 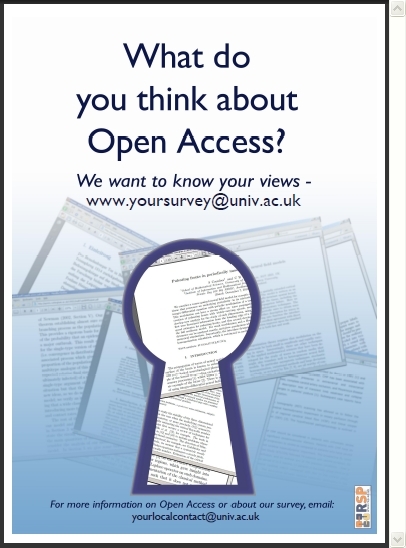 The questions focused on attitudes toward open access and institutional repositories. The RSP blogged about this in March. The questions on copyright and versions provided some encouraging results – the majority, 70%, thought that authors should own the copyright to the material and although we know that most authors sign away their copyright, it’s interesting to see that they don’t necessarily think that is a good thing. The fact that 86% kept a copy of their own author, peer reviewed final version is also supportive to self archiving. In addition, 77% felt that this version was acceptable for deposit in the repository. These latter responses help to counter some commonly held beliefs that authors don’t keep a copy of their work and that only the publisher’s PDF is worthy of sharing. Twenty institutions participated with a total of 1676 respondents. A summary of the results is attached here Attitudes to OA – Basic summary report. A fuller report is in progress which will be published in due course.